Natural calamities or disasters exist in various forms in the world. The tsunamis, earthquakes, floods, cyclones, landslides and thunderstorms are the different types of natural calamities. These natural calamities kill many people and destroy many things at a time, irrespective of any geographical boundary or caste or creed. When these natural calamities occur, people have different questions in their minds like whether it is the result of God’s anger or wrath. 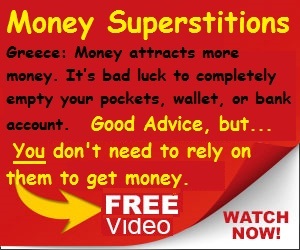 Many kinds of superstitions arise in the minds of people. Some people regard these natural disasters as punishment of the sins of human beings. But the question arises, if these are the results of sins done by mankind, then what about those innocent people who also have faced grave consequences due to these calamities. Now there is yet another belief that God forgives the sins of all no matter how big the sin. So then what is the connection between God and these natural calamities? Generally when natural disasters take place, God is blamed for them and this is mainly due to the ignorance of uneducated people. If these calamities have a scientific reason behind them then why earthquakes and tsunamis cannot be predicted while some other calamities like landslides and cyclones can be predicted by science. It also lays down the precautions to be taken before the onslaught of these disasters. The next example to be taken is of a student who wants to pass his examinations with flying colors. It is common sense that the student should work hard in a proper and scientific way instead of not studying and leaving it to God. One cannot pass examinations by merely following some rituals and customs. Hard work as well as superstition goes hand in hand because hard work surely pays and superstitions make one strong psychologically. Hence science and superstition go side by side in many cases. In the earlier days when people were less educated, they blindly developed many superstitions of which idol worship and the following of many rituals were some of them. Today people are much more educated and aware of their problems that they tend to technologically and scientifically find solutions for their problems instead of relying upon superstitions and God. In the past, people sought the help of prayers and superstitions to yield better crops and live a simple life. But people in modern times try to solve their problems by using various scientific methods and machines for better farming and lifestyles. Science has done wonders in this field by providing weather and geographical information to farmers. We know, or rather some think that religion is basically superstition plus an anti-science element. Natural calamities have always been associated with God’s way of punishing people for their sins. These have their proofs in the religious texts of many religions. Finding out the causes and learning various precautions for such calamities can be seen as God allowing human beings to find out the true reasons behind such calamities. It is very similar to a teacher who gives science projects to the students to discover something beyond the previous assumptions.